Window Fasteners Night Venting Monkeytail Fastener in Pewter Patina. 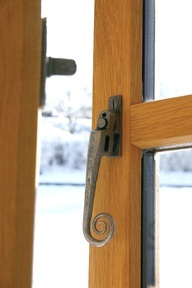 Reversible window fastener in a Peardrop style and pictured here in the rustic Bronze Finish but available in all of our traditional finishes. 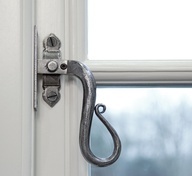 A classic Monkeytail Fastener to create a period look and available in a number of great finishes including Polished and Antique Brass, Beeswax, Black and Pewter Patina. 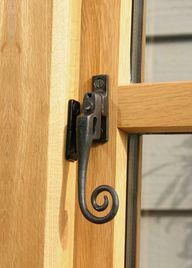 Night Vent Locking Monkeytail Fastener available in Black, Beeswax and Pewter Patina and allows your window to be locked in two positions, including night venting. Why use Beeswax products from Period House Group ?